These quick set-up displays get your message out at tabling events, on a reception counter or lobby display. Small and compact, they take up hardly any storage space between events. Our most compact tabletop banner stand. 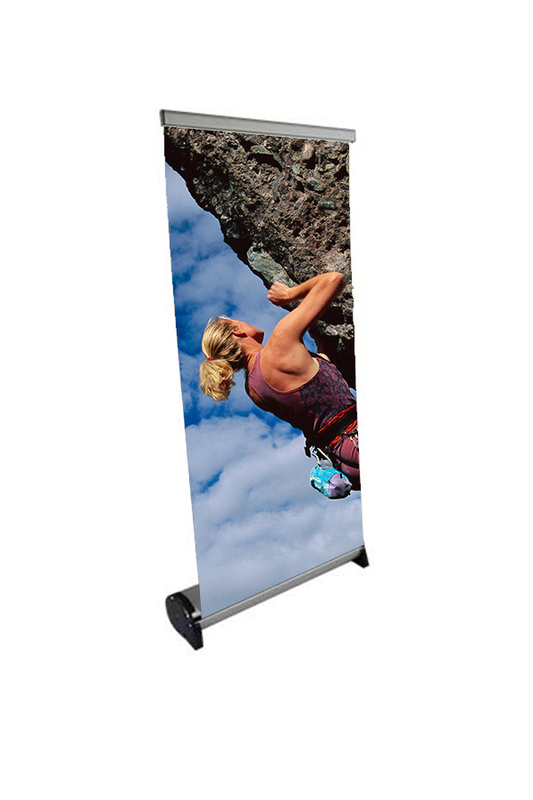 Includes aluminum stand, support pole, and printed graphic. 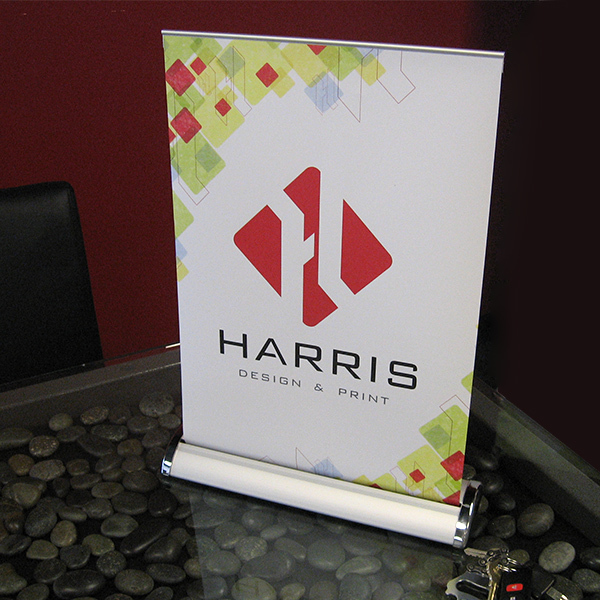 A larger and more durable tabletop banner stand. 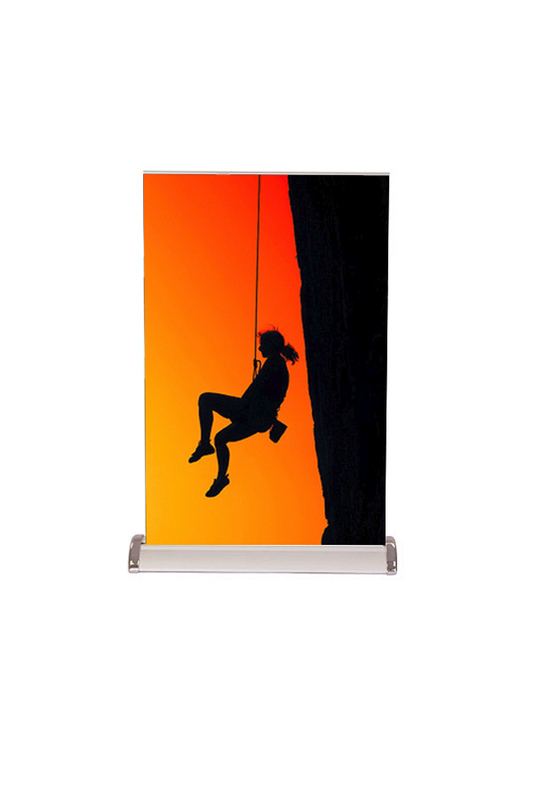 Includes aluminum stand, support pole, printed graphic, and carrying bag. 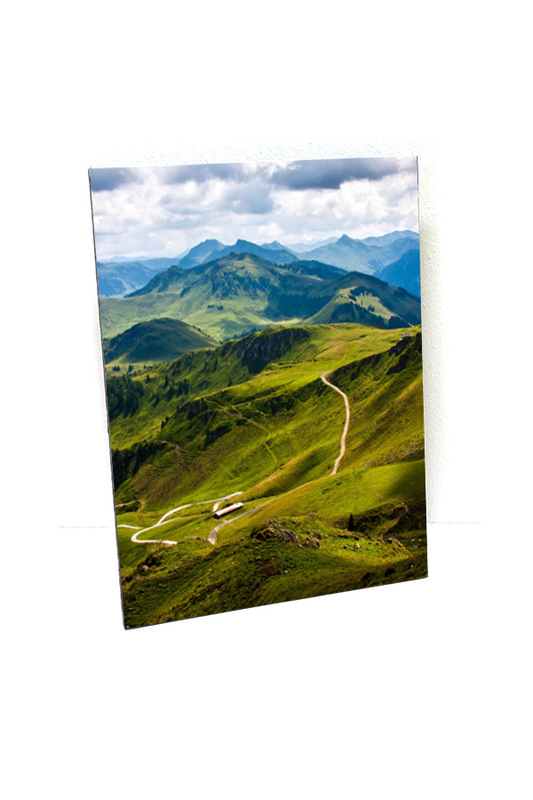 This rigid poster can be customized to the size you need for your tabling event, front desk or lobby display. It stands up with an easy-lock cardboard easel that folds flat when not in use.